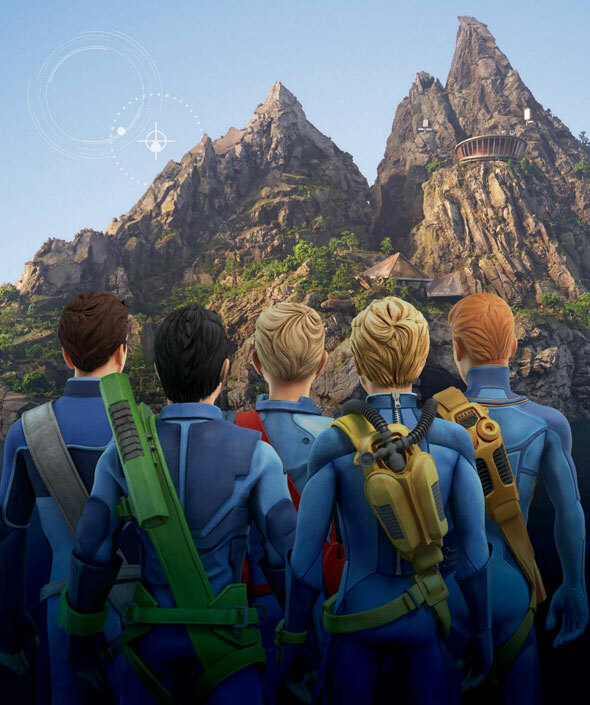 ITV and Weta Digital have unveiled a new photo from “Thunderbirds Are Go,” the upcoming CG-animated/live action series reboot of the classic franchise. The members of International Rescue Crew can be seen from behind in this shot which is part of a promotional tie-in for the show’s presence during next week’s 16th BLE Expo in London. Speaking of “Thunderbirds,” the original show’s creator Gerry Anderson had a son named Jamie who has taken up his father’s mantle and launched a Kickstarter campaign to shoot a new adventure show using puppets. Head to that page for more information.